Relax and find your center. 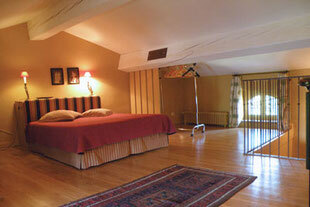 Our guest house of our community offers space for single travellers, families and groups up to 15 people. Surrounded by woods, fields and vineyards you can shape your stay entirely as you please – go for quiet walks, splash around in our pool, cykle over the gentle hills of the Malpère or go on historical discovery into the land of the Cathars. 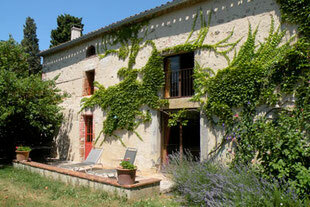 Individual holidays or with friends: the Maison de Chéri offers space for rest and relaxation. Single rooms, the whole house, single or several days or weeks. Children, dogs, cats, by public transport or car, or anything that is important for your stay. Cykling and hiking enthusiasts will be delighted by the gently rolling hills – let your gaze wander all the way to the Pyrenees. Creative people are inspired by this picturesque region with its playful shifts of light inviting you to leisurely contemplation. Swimming fans cool down in our pool on hot summer days and evenings. And for those who want to go to the sea, Narbonne beach is an hour and a half by car. Guests looking for peace and quiet and nature lovers will find idyllic places in the forest and on the edge of the fields of the Montgrenier estate. Wine lovers taste Malepère AOC wine during visits to the many wineries. For the culturally interested, towns and museums tell the story of the region's history. 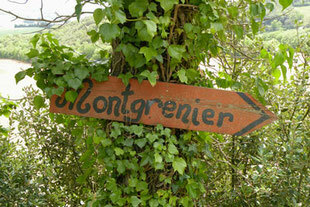 Welcome to the “Land of the Cathars”, welcome to Montgrenier.